Of course there has been too much controversy on toxicity of pesticides, especially Glyphosate in recent years that led to ‘Organic Foods’. Anything and everything that is labelled ‘Organic’ is considered to be healthier and of course the price can be ten times more than the normal food or that is not labelled Organic. Recently, I was volunteering for virtual class room at Nepris, where the students were making a hand lotion to market. They asked me if they should buy Organic oil as base for their product. This topic has been on my mind and from the discussion in that class I realized people don’t really look at all facts before they jump to conclusions. At the same time, there are companies who want to make money and thus spread lot of misinformation. If people were to read the history of agriculture and all the efforts scientists made to have more and better produce, I believe there would be more understanding on the topic in society. This is one of the reasons, I established The Scrutinizer, in the hope that people would read the Science Based Information that we provide and they would take a little time to critically analyze the topic and make informed decisions about their health. Assuming something is healthy or wanting it to be healthy does not make it healthy. I’m taking the example of GLYPHOSATE. SHOULD GLYPHOSATE AND ALL PESTICIDES BANNED? Was our produce better before 1939 (thats when first pesticide was discovered). I am providing an actual calculation on how much pesticide we actually consume and how toxic it is to our health. One of the most fundamental principles in all of toxicology is: “THE DOSE MAKES THE POISON,” Paracelsus (father of toxicology) is the one who coined this term. What this means is ANY substance can be harmful it depends on the dosage. You cannot just label a substance harmful and not harmful. This is not how toxicology works. Water and Oxygen can be lethal as well if consumed in large quantities. 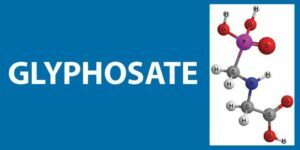 Are pesticides (Glyphosate) cancerous? Sunlight is more carcinogenic than anything else, we did not just stop going out in the sun. The point I’m making is we need to understand how a substance might be toxic to us and in what quantities. Before we start movement against anything, we need to carefully weigh the benefits Vs harm. As per EPA, the residues of Glyphosate permitted on our food are between 0.2ppm-0.5ppm (This is parts per million). Let’s assume you are a vegetarian and you consume food which is at an average of 5 ppm per day (Just to prove a point, I’m taking 10x more than allowed by EPA). So 200 grams of food would yield 1 mg of glyphosate. Let us assume, You weigh 70 kg or 154 lbs. To get 2 mg per kg you would need to get 140 mg of glyphosate residue. To ingest 140mg of glyphosate residue, you would need to eat 200 * 140, or 28,000 grams of this 5 ppm produce to get to the 2 mg per kg per day level. There are 28 grams in an ounce, so that’s 1,000 ounces. There are 16 oz in a pound, so you would need to eat 62 lbs of produce per day to be at the lowest spectrum of toxicity i.e. if glyphosate even has toxicity at 5ppm. No one (humans) usually consumes 62lbs of produce everyday. This calculation clearly shows that even if we have consumed glyphosate in minimum amounts or the amount recommended by EPA to be sprayed on the plants, there is NO toxicity of glyphosate. All the conclusions on pesticides, I am basing on honesty of EPA. If they are not monitoring, then of course we all are in trouble. However, I am inclined to trust them, so at the doses glyphosate is sprayed on plants, we do NOT have toxicity from this pesticide. If someone were to drink it of course the pesticide is a poison. I would be coming out with another detailed article on a comparison between Glyphosate and Rotinone. Rotinone has been classified as organic pesticide because it is found in the tubers. Toxicity studies show Rotinone to have higher toxicity than glyphosate; secondly it is not as effective so farmers tend to use more of it. “All the Literature Cited by The Scrutinizer Precludes Articles Published or Funded by Monsanto Corporation.” We remain an unbiased and neutral entity. 6 Responses to "Unbiased Perspective Of a Biochemist On Pesticide Toxicity: Glyphosate"
I precisely wished to thank you so much all over again. I do not know the things that I would’ve used in the absence of the type of advice provided by you directly on such a problem. Certainly was a real frightening circumstance for me, but taking note of a new specialized manner you dealt with the issue made me to weep for contentment. I’m happier for this information and as well , have high hopes you realize what a powerful job you are undertaking teaching other individuals using a site. I know that you’ve never met any of us. Good write-up, I am normal visitor of one’s site, maintain up the excellent operate. Very informative and excellent complex body part of content, now that’s user pleasant (:. © 2010-2018 The Scrutinizer, Inc. All Rights Reserved.